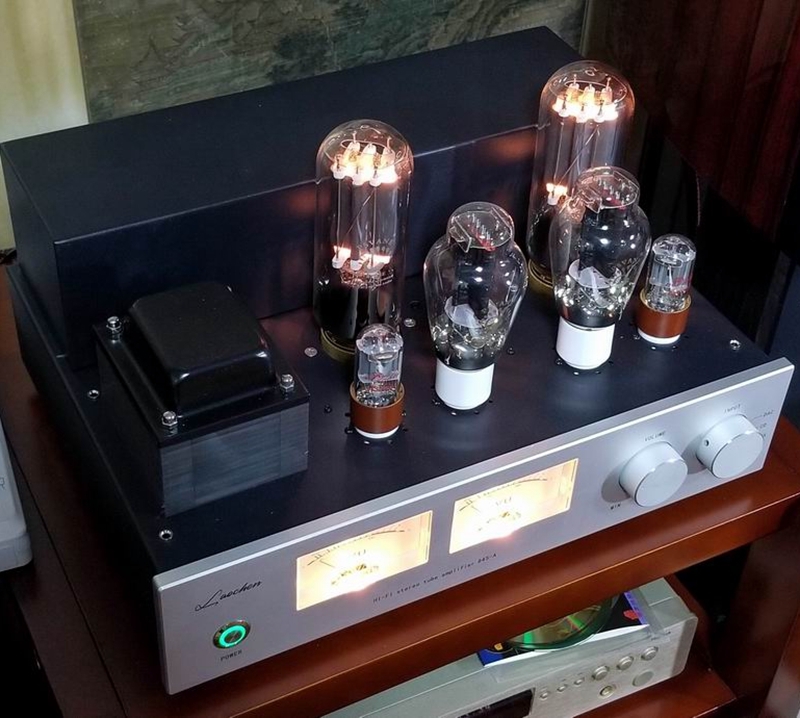 The amplifier is adhering to the consistent concept, simple and atmospheric overall design, stable and nice sound optimized circuit to improve the performance of r this 845 amplifier. 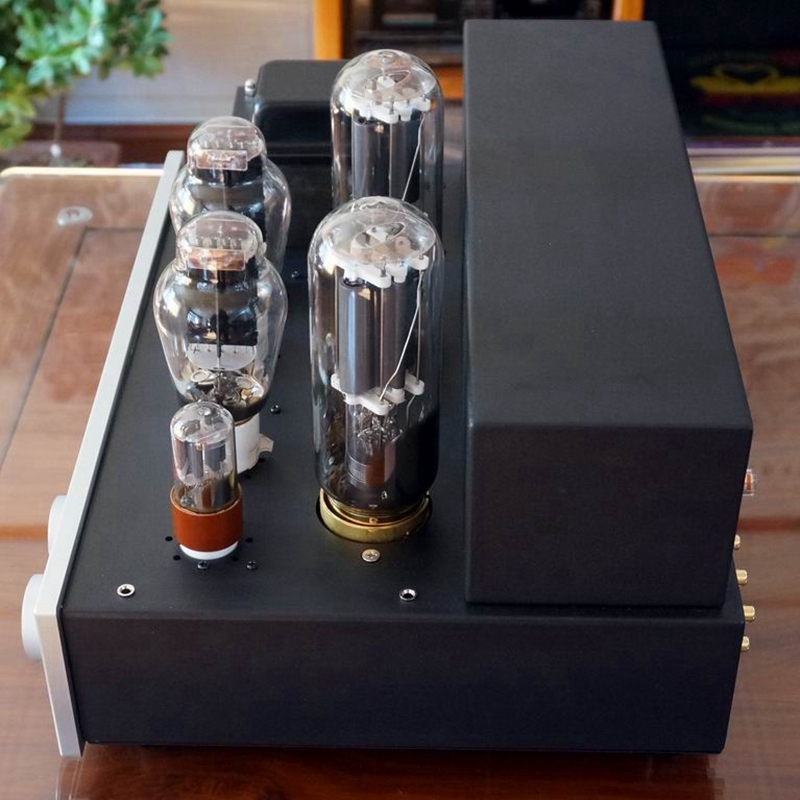 The direct thermal triode 845 amplifier can express the natural exquisiteness of vocal and string music, and it can also be calmly and magnificently when it is large dynamic. Even for those hard-to-push speakers, it can drive them well. 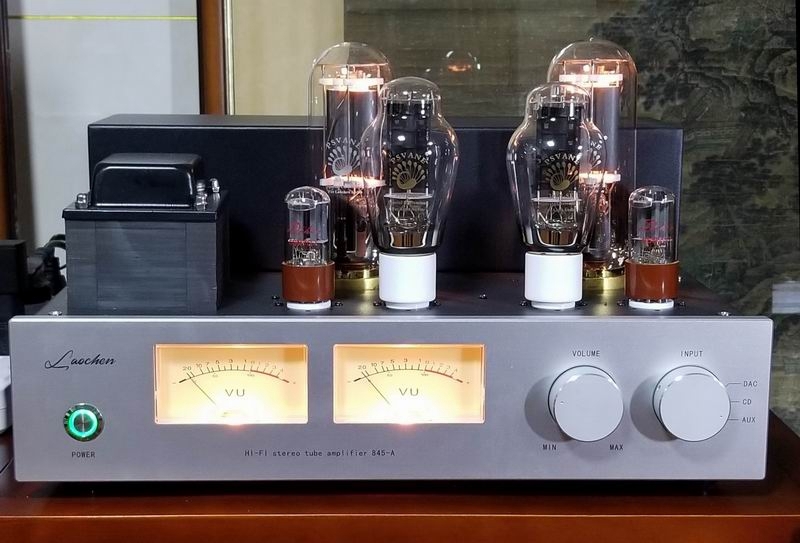 2x25W 845 Vacuum Tube Amplifier 300B Drive 845 Single-end Class A 6SN7 Preamplifier High Power Hand Scaffolding Welding from IWISTAO HIFI MINIMART2 on Vimeo. The power supply of the whole unit is independently powered by a high voltage transformer and a low voltage transformer to ensure sufficient power while reducing the interference. In the status of no output feedback, the ground noise is controlled within 1-1.5 mV, making the sound of the amplifier more stable, wide and natural. 1. 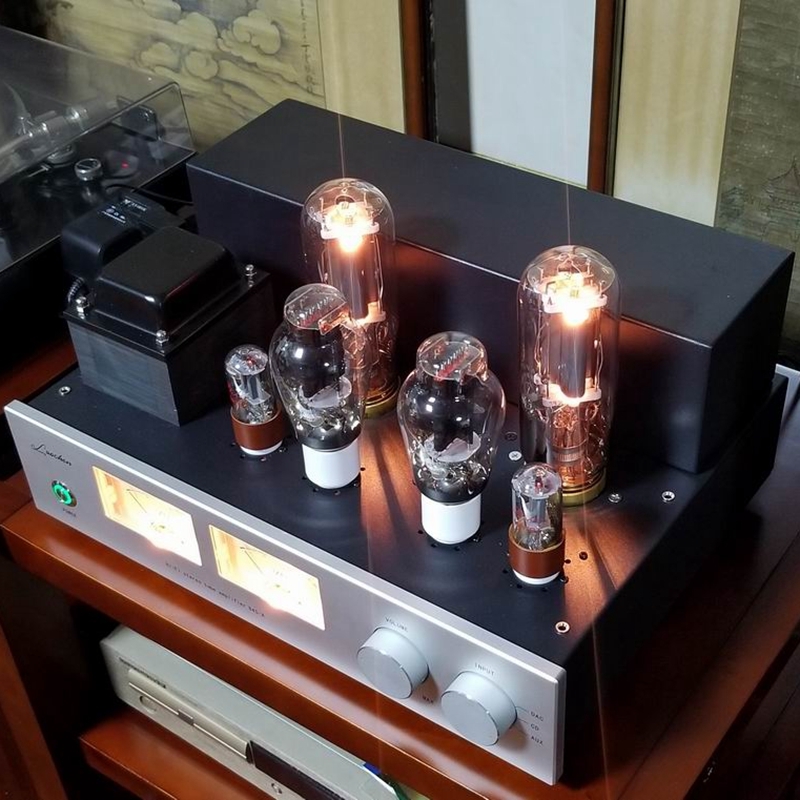 Adopts custom vacuum tube 6SN7 as preamplifier, noble voice tube 300B-SE to drive tube 845 high-power vacuum tube, then they drive the output transformer. Also between tube 300B with 845, the efficient and stable capacitor coupling used. 2. Using metal film resistors, ALPS import potentiometers and imported HIFI level capacitors. 3. Adopts scaffold welding method to reduce noise at signal amplification section. 4. Using thickened circuit board at the power supply section. 5. Using an inductive filter with each of high voltage and low pressure, with a delay of 30 seconds, this effectively protects the life of the power tubes. 6. Using high-quality dual dynamic indication meters on the front panel, make the amplifier more beautiful and atmospheric.